An initiatory Stage enriches complementarities, bringing together Astrology, Spirituality, Healing and Expression of its embodied ideal. It is one of the 'stepping stones of the soul' for the person who decrypts it and chooses to restore its balance. Recurrently, this wound is known many times and it returns under various appearances, during this life. Chiron reveals himself, then, as 'our most powerful self-healer', proposing the necessary transmutations, in order to heal our stigmata and cauterize our inner wounds. Through this, we accept the major role of the experience that is played: to give ourselves the means to fully realize the quest for his Unicorn. 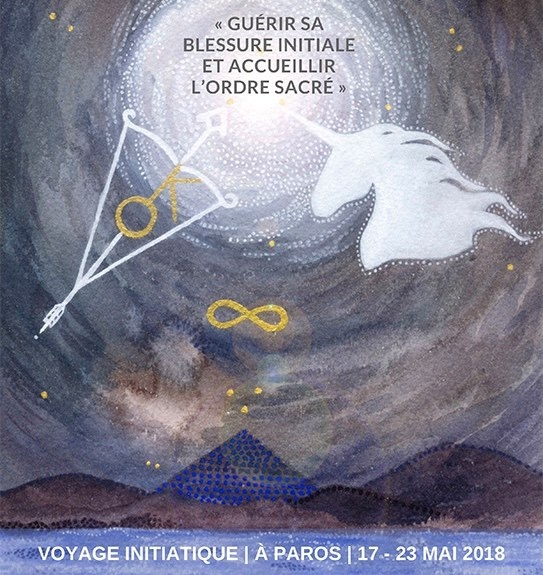 In each natal chart, the location of the Unicorn highlights our thirst for the absolute, our need for the ideal, fuels our momentum towards our mandate of incarnation. The Unicorn represents this deep aspiration, this point of view, this result. As you can see, Chiron and the Unicorn are indissociable, in the light of an awakened advancement.